In case you like to add a link to this site you might like to use one of the following Logos. 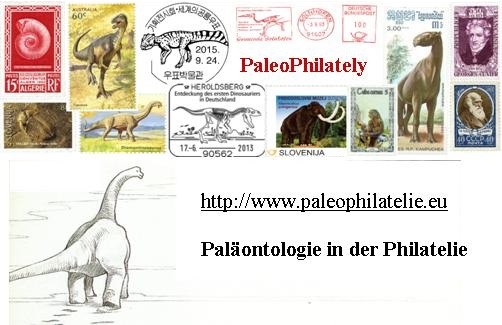 "Paleophilatelie is a topical collecting of post stamps and another kind of philatelic material (covers, post cards, postal stationery, post marks etc.) 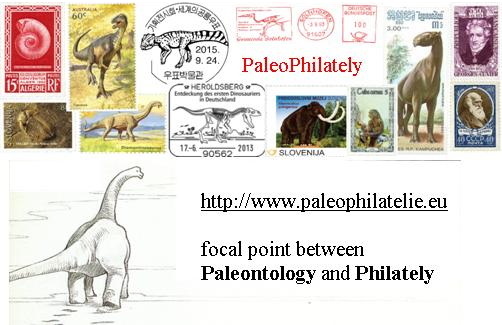 depicted dinosaurs and other prehistoric animals or plants, fossils, fossil found sites, humans ancestors, paleontologists and contributors to the science as well as some museums with significant paleontological collections. 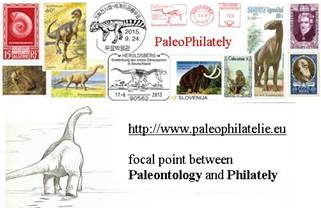 In other worlds this site is about representation of Paleontology in Philately. "